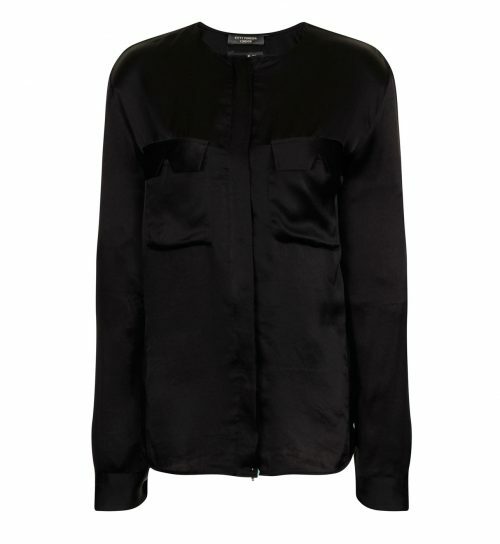 We’ve updated our signature shirt silhouette featuring our signature pocket flap, from using upcycled silk to this cruelty free version. Also available in a matt georgette fabric, white, and black. 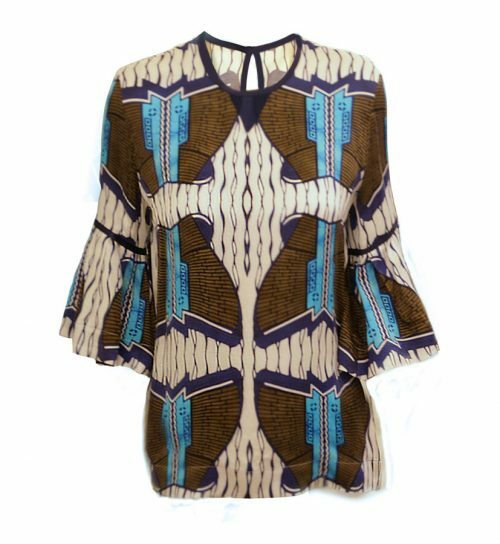 This African design pattern is printed on cruelty free silk and features ruffled sleeves and neck trim. 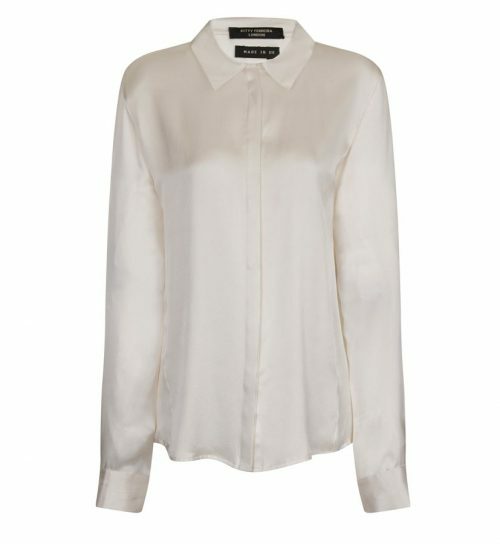 Wear this blouse to jazz up your workwear outfits or couple with jeans for a sophisticated day look. Classic shirt made from cruelty free silk, better for your skin and the environment. It features concealed button stand and engineered side seams with a high end finish both inside and out.